Let’s face it: Packing for a vacation can be tough. 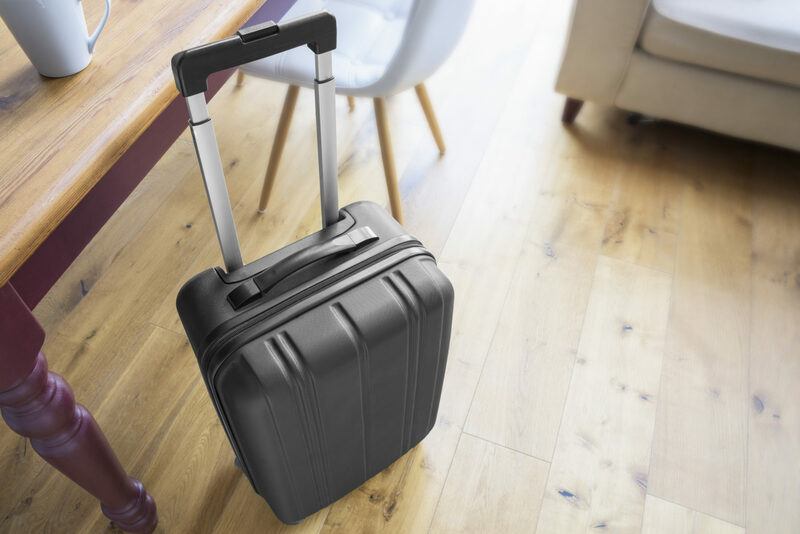 Considering the fees for checked luggage (and in some cases, overhead bin space), it’s smart to consolidate your belongings into one carry-on bag. Yes, you will save money. But you’ll also save time at your destination, allowing you to jump right into that well-deserved vacation. Packing light seems daunting, but it doesn’t have to be. 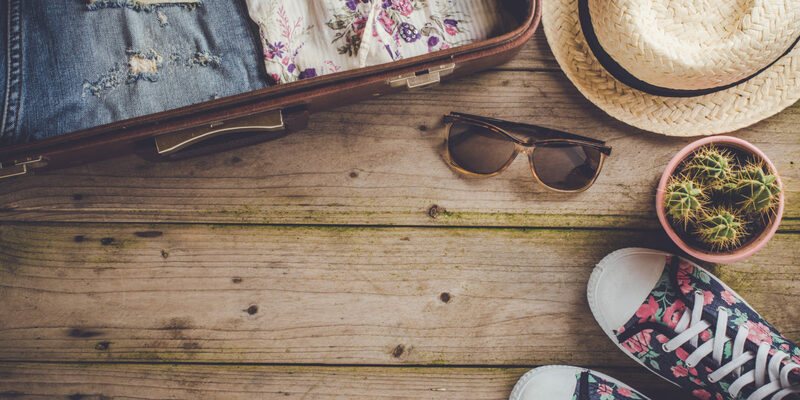 I used to convince myself that I didn’t want to transfer lotion or contact solution into smaller packages, lug a suitcase through the airport or take along anything less than five pairs of shoes. But, after a friend pointed out that the $25 it took to check luggage one-way could buy at least two glasses of nice wine at a restaurant, I decided to streamline my style. It didn’t happen overnight, but by following these tips, tricks and savvy suggestions, I ditched the fees and became a carry-on pro. Here’s how you can, too. The key to packing a carry-on is, yes, to pack less. But it’s also about maximizing your clothing choices so you can do more with less. I tend to stick with a neutral palette for most of my clothes, throwing in a few colors and accessories for flair. Depending on the length of your trip, start with three bottoms and three tops and mix and match from there. If everything coordinates, that’s at least nine different outfits. Add a distinctive (but not expensive) necklace or scarf to keep things interesting. Items that serve more than one purpose also help keep luggage light. I always travel with a sarong I purchased in Thailand. It’s great for beach vacations — as a cover-up or as an alternative beach towel — and it’s also an excellent scarf. I’ve also used it as a pillow on a train, a purse in a pinch and even a privacy screen. Depending on the length of your trip, laundering your clothing on the road is a great way to cut down on the number of items you pack. If you plan to bring everything in a carry-on, how you pack it is also important. Make sure to make use of every nook and cranny! When it comes to packing clothes, I am a huge proponent of the rolling method. About 30 years ago, I remember watching my mom pack one suitcase for our entire four-person family. Granted, my sister and I were small and so was our clothing, but the woman was a pro. By rolling everything, she created short and long sausages of fabric that she organized into a single suitcase with the skill of a Tetris master. She stuffed socks into shoes (why waste empty space? ), stacked rolled pants and filled in gaps with shirts, underwear and other bits and pieces. The suitcase was a masterpiece. I continue to believe in the virtues of the rolling packing method, though I have made some adjustments. I use packing cubes when I use my duffle bag and roll within the cubes. I still stuff socks into my shoes and will roll, say, a scarf into a tiny package just big enough to fit in an open corner. I also make use of plastic bags, which can be lifesavers when packing light. I use an assortment of quart- and sandwich-size bags, with a one-gallon bag thrown in for good measure. A properly segregated liquids bag will get you through security faster and they are great for stashing various currencies, organizing receipts and corralling wayward souvenirs. Plus, the clear plastic means you can easily see what’s inside. There are other factors to keep in mind that could make or break your experience. Always double-check your airline’s carry-on luggage guidelines. These will vary wildly between international and domestic airlines. Your objective is to avoid a surprise luggage fee at an airport. But you also don’t want to be the person unpacking and repacking her two bags when one turns out to be a few pounds over a weight limit. This happened to me at the airport in Melbourne; I ended up wearing three shirts on the flight to drop weight. Check in early. Depending on the airline, when you check in for your flight can mean the difference between plenty of overhead bin real estate and gate checking your bag. Get there early and you’ll have a better shot at claiming space. TSA Pre-Check can save you time and stress. I’m a fan of TSA Pre-Check and, if you take even one international trip, Global Entry. Not only do you get to calmly meander through your shorter security line, but you also don’t have to take off your shoes or remove that bag of liquids. It’s the best $85 (good for five years) I’ve ever spent. Global Entry will cost you $15 more. For ideas on where to take your impeccably packed carry-on, check out the Marriott Vacation Club Explorer Collection. Katie C. is a freelance travel journalist living in Denver, Colorado.